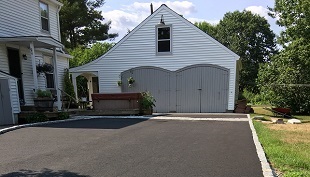 J. Korpaczewski & Son Asphalt, Inc. has been providing customers in York and Cumberland counties Maine with quality asphalt paving services since 1995. 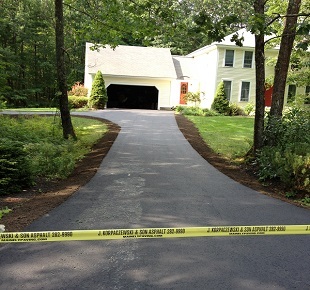 From start to finish you can be assured that J. Korpaczewski & Son Asphalt will complete the job on time and provide you with a finished asphalt surface that will be aesthetically pleasing, done right and stand the test of time. 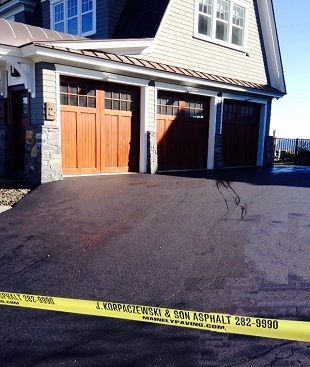 J. Korpaczewski & Son Asphalt serves residential and commercial customers from driveways to roads and sports surfaces. 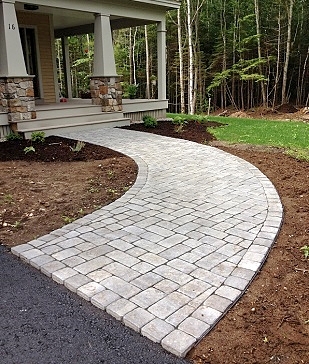 In addition to our paving services, we also offer the installation of natural stone curbing, cobblestone, interlocking pavers or brick for patios, walkways as well as driveways. Installing hardscape materials can compliment your new driveway, add beauty and value to your home or business. We offer traditional driveway and road reconstruction and in our efforts to be environmentally responsible, we offer and encourage asphalt recycling. This reclamation process is where old asphalt paving is recycled to become reclaimed asphalt paving for use in new paving work. At J. Korpaczewski & Son Asphalt we work with key suppliers to deliver recycled asphalt that will meet our high standards and guarantee a strong stable base for your new asphalt surface. The materials reused are an economical benefit and most importantly an environmentally friendly solution.